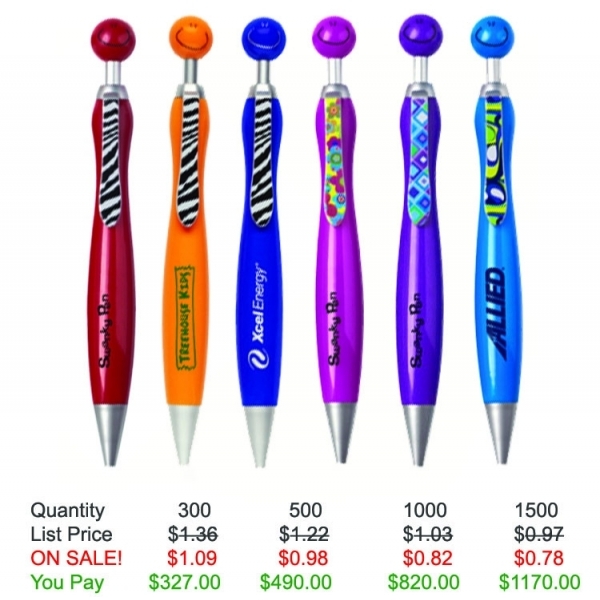 NeedPens.com - Personalized your Awareness Pen with your LOGO. Swanky happy face plunger pen with a tie clip. 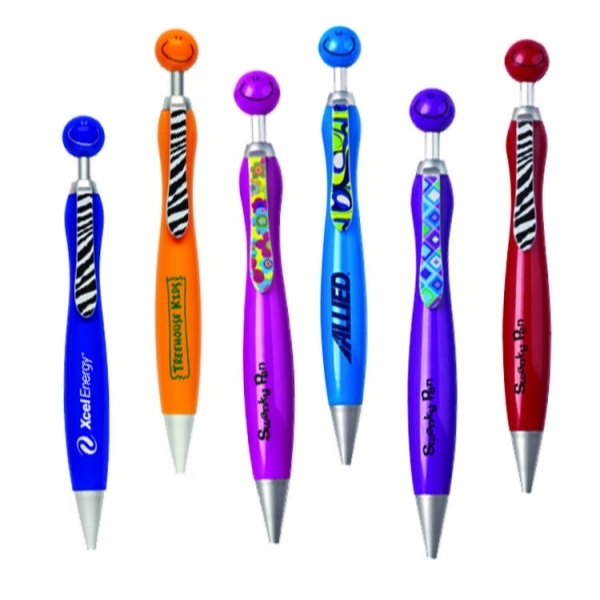 The iconic Swanky pens showcase that adorable smiley-face with color-coordinated tie clip. 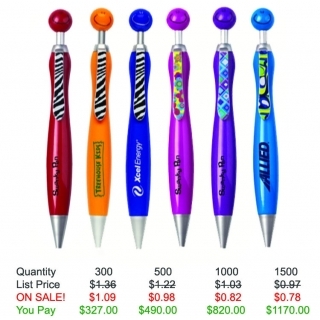 Pen features a quality black ink cartridge.. Available in white, with any one-color ribbon. Quality black ink cartridge This is the perfect way to put your branded message directly into the hands of your customers! 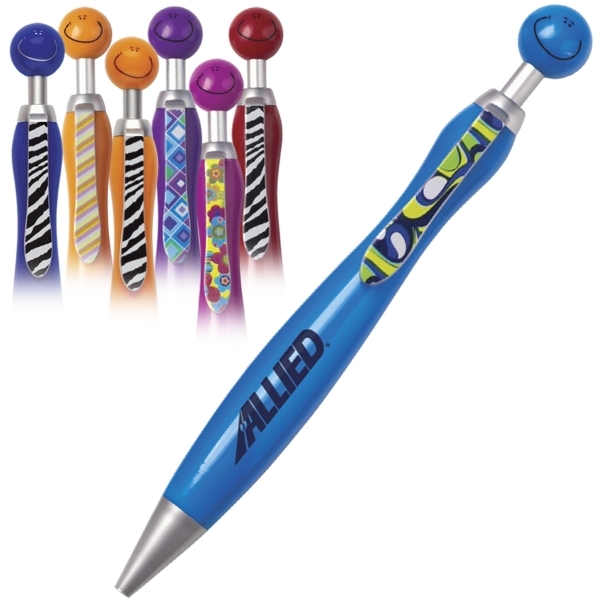 Product Features: Ballpoint pen with smiling cap and tie-shaped clip.